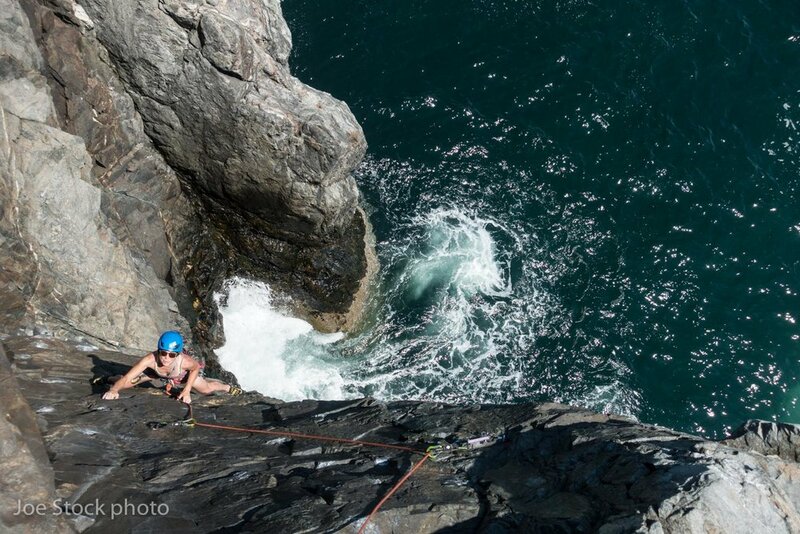 Cathy and I had another amazing summer of climbing here and there. Between work we climbed in Alaska, Oregon, Nevada, Utah, Maine, New Hampshire, Italy, Switzerland and France. We hoped to climb in Scotland, but the weather was too Scottish, except in a massive indoor gym, built into an abandoned quarry with 100-foot walls. Cathy at Great Head in Acadia State Park in Maine. We spend a week climbing at Acadia and Cathedral Ledge in North Conway before a Flanagan family reunion in nearby Bridgeton, Maine. Back in Chamonix! Morning on the Dent du Géant above the Vallee Blanche. Aiguille du Midi rising above the haze. This is what being in the mountains 300 days a year for 50 years makes you look like. 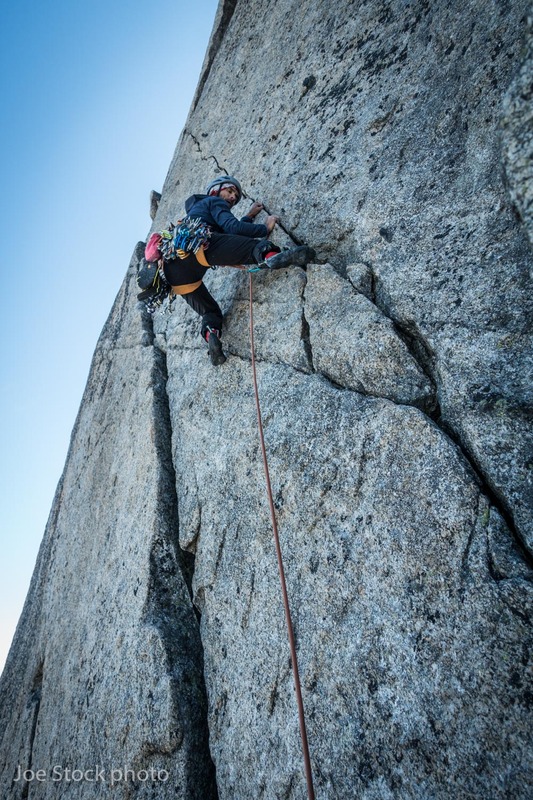 Jeff Munro on the classic Traverse of the Entrèves on the French Italian border. 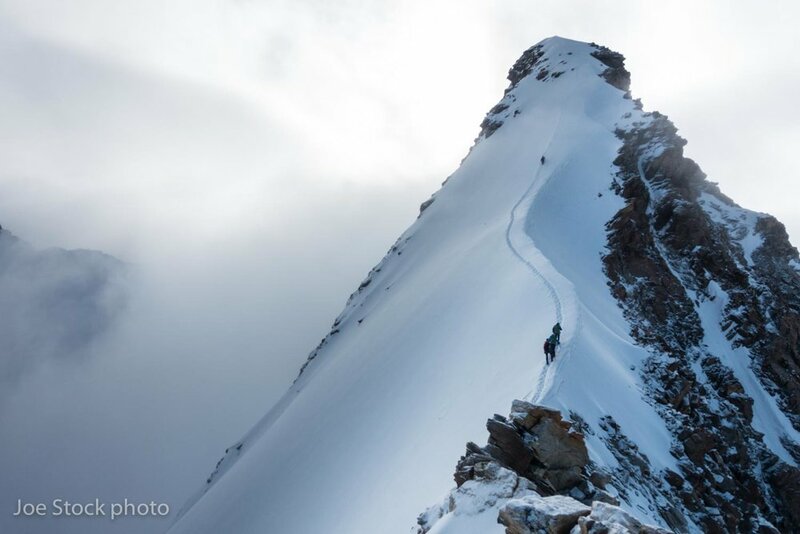 Andrew Wexler and Peter Gent returning from the Italian summit of the Matterhorn. Russian with his ice hooks on the Matterhorn summit icefields. Steep and popular mountains breed accidents. Rescues occur daily on the Matterhorn. This woman fell 60 feet and stopped on a small ledge on the east face next to me. The helicopter arrived in 20 minutes. The Swiss rescue dude was a workmate of Andrew’s at Canadian Mountain Holidays. Stephen Humes from Colorado approaching the Monte Rosa Hut to climb the the Dufourspitze, the highest mountain in Switzerland at 15,203 feet. The Monte Rosa Hut with the Matterhorn beyond. Near the summit of the Dufourspitze. A really big day! 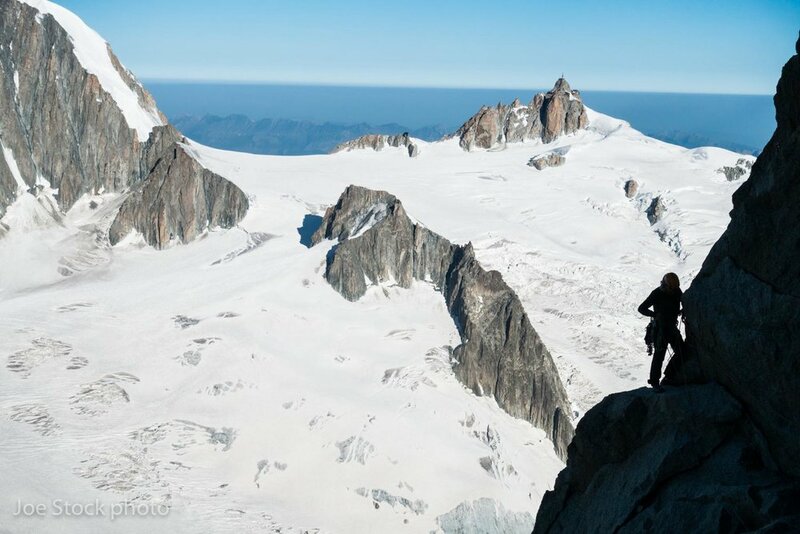 Andrew Wexler on the summit pitch of the Aiguille du Peigne above Chamonix. We started this pitch four years before, but backed off in marginal weather. This summer, we climbed for three hours to reach this pitch. The effort was worth it. These lighting bolt cracks led to a chimney, to a down-trending crack, to a hand crack. All while looking down onto the Chamonix rooftops six thousand feet below. Todd Passey climbing sunny limestone at the Col de la Colombière. 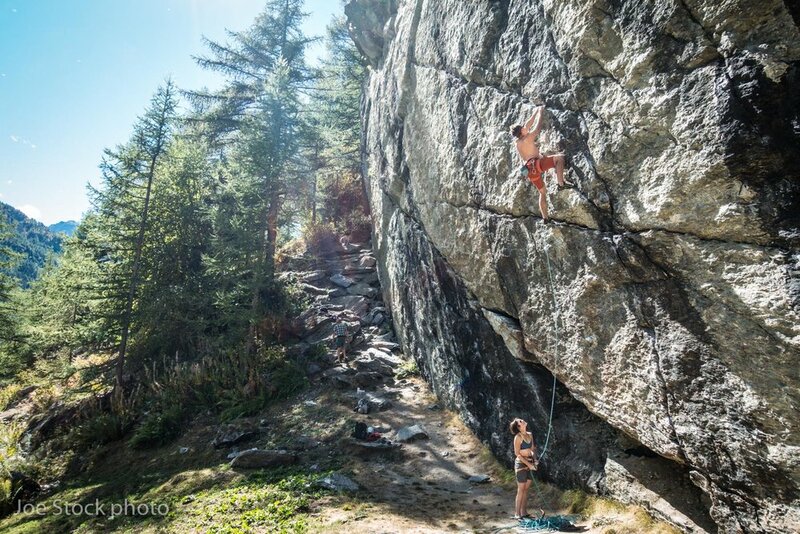 On this leisurely day, we left Chamonix late, climbed 14 pitches and chatted the entire way. 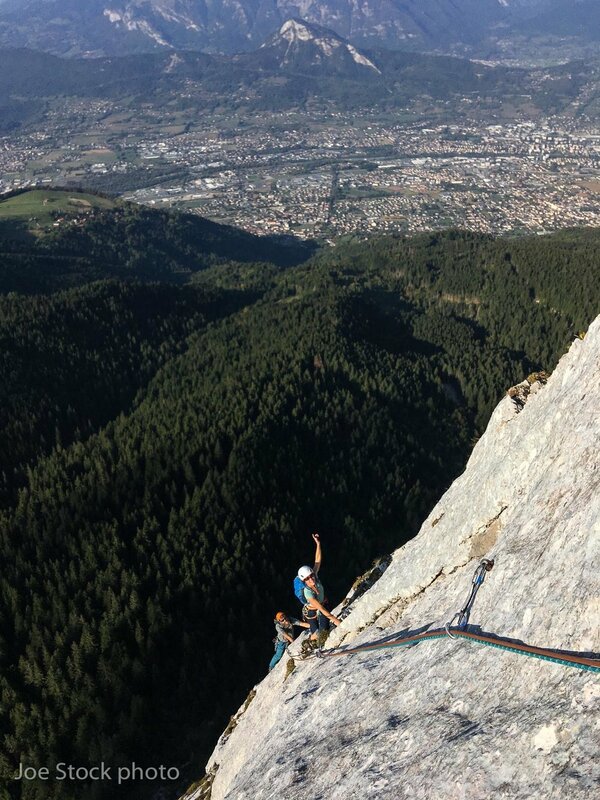 Chris Simmons and Cathy Flanagan above the town of Cluses on Variante à Pétiole on Petite Bargy, a 10-pitch, 300-meter, 5.10a with a walk off. Cathy belaying Chris Wright’s send of a 5.12 at Gare Est in the Aosta Valley. Scotland with Al and Becca! We’ve been on two Alaska Range ski trips and a Mont Blanc trip together. Amazing fun beautiful people. Becca’s parents have a place on Rassay, an island off the Isle of Skye. What a place! Thanks Al and Becca! Our first Munro! Scotland has 227 summits over 3,000 feet called Munros. Lochnagar is 3,789 feet tall and is the twentieth Munro. Lochnagar is in the Cairgorm Mountains in eastern Scotland, in the rain shadow of the mountains around Ben Nevis. Pat Ormond hamming it up for Karsten Delap’s camera in Big Cottonwood Canyon near Salt Lake City. 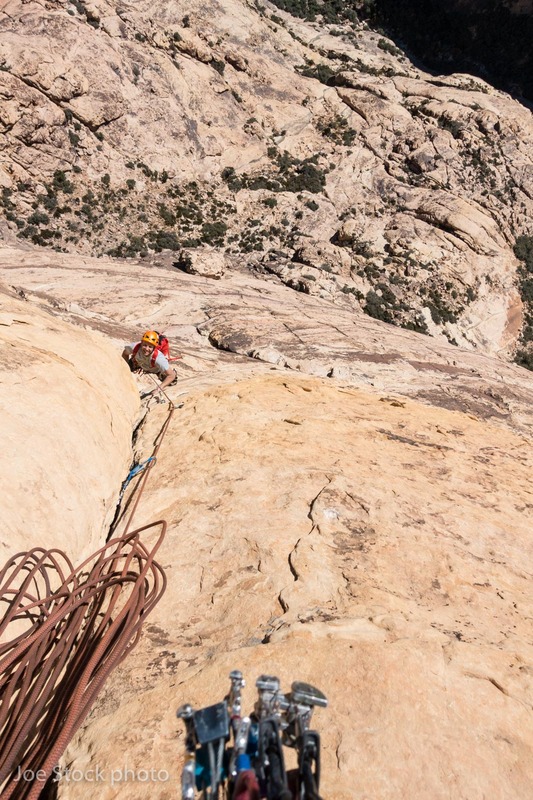 This was a field clinic on transitions between short-roping, fifth-class and rappel during the annual guide meeting of the AMGA. Clint Helander from Anchorage on Eagle Dance (10 pitches, 5.10c A0) at Red Rocks near Las Vegas. Cathy and Elliot Gaddy climbed as a team just in front of us. Cathy on pitch three of four on Zebra Zion at Smith Rock in central Oregon. The last pitch is a greasy and overhanging 5.9 handcrack that had been calling me for 27 years. Our friend Chris Wright showed us that Smith’s best climbing on the steep and smooth 5.12 walls, where the holds are positive and the falls clean. Back in Alaska! Evening flight to scope ski terrain with Jeff Conaway.